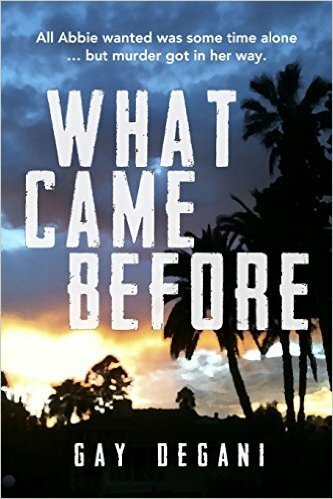 Complex and Compelling: Bonnie ZoBell's "What Happened Here"
This review is followed by an interview with Bonnie ZoBell. Scroll down to view the interview first. Bonnie ZoBell’s novella,“What Happened Here,” opens her collection of the same name, and her first page description of the PSA Flight collision with a Cessna in 1978 over the city of San Diego anticipates a collision of characters, the breaking up of relationships, the falling down of spirits—the kind of tragedies that permeate the stories that follow. What else is revealed is how such calamities, large and small, are endured and overcome with love and kindness. Each of the eleven pieces (ten stories as well as the novella) take place in that North Park neighborhood of San Diego around thirty years after the PSA jet crashed into the ground. The ghosts of those who died linger in the shadows, behind palm trees, along the streets at dusk. The macaws who also haunt the area as they chatter and soar add a hopeful counterpoint. The lingering impact of disaster impacts three specific characters in the novella: Lenora, a woman struggling to find herself after years of feeling discounted and unloved, her husband John who battles the “monster” of manic-depressive disorder, and their neighbor, Archie, who is the most obsessed with the crash even though he was not present for the disaster which took place years before. The author does a lovely job of showing the precarious state of the newly married couple’s relationship through references to Lenore in Edgar Allen Poe’s “The Raven” as John woos Lenora. The raven and the macaws seem to represent the contrast of the blackness of a monster against the bright hope one can find in life. That hope comes from Archie, the complaining neighbor, who in the end manages to reach John in his depressive state in a way Lenora cannot. One of the strongest pieces in the collection is “People Scream.” The shriek that shatters the calm one Wednesday night at the Center for Life haunts both the receptionist Heather and the story itself. She is filled with self-doubt—perhaps even self-loathing—and it feels inevitable that she works where other self-doubters, those who have turned to addiction, have come to recover. 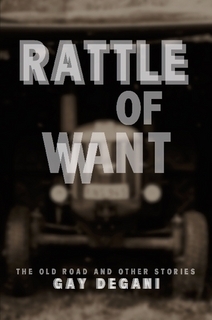 She works here for the wrong reasons--to meet men--and she’s come to the wrong place. Of course, she does meet them, including Wally, including the homeless drunk in her car. Again the yin/yang of tragedy and hope finds its way into Zobell’s work. What Happened Here is rife with unhappy women who stick to their broken men and a few who hide from them like Lolly in “Rocks.” Yet these women are to be admired for their grit, their ability to forgive. 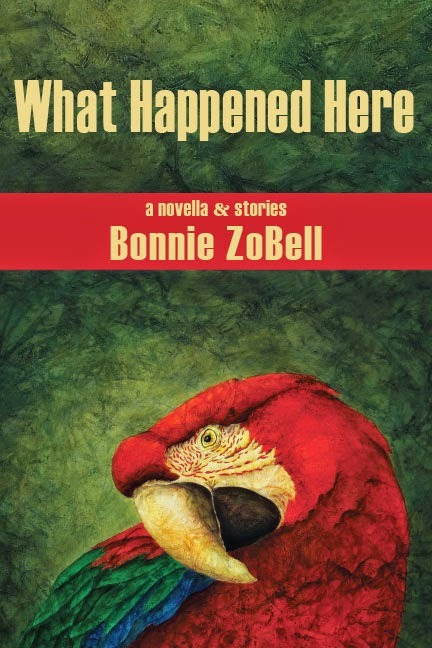 Press 53 published Bonnie ZoBell's connected novella and stories, What Happened Here, in February 2014. 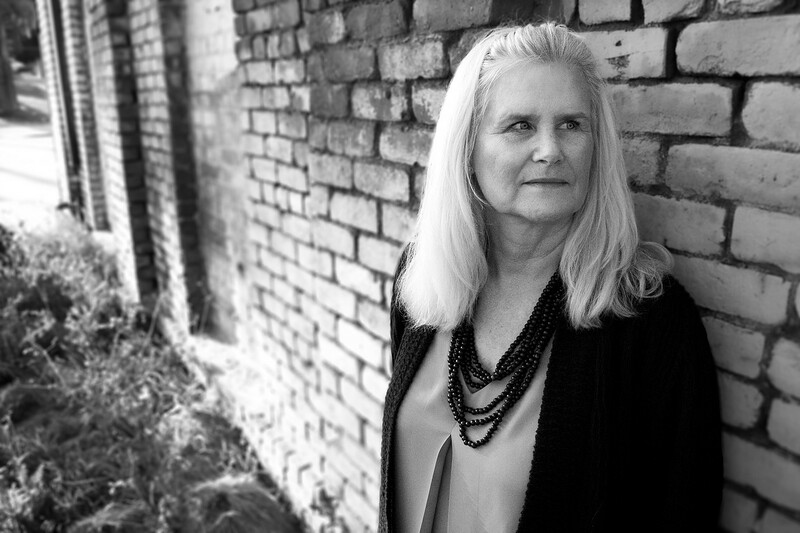 She’s won such honors as NEA, a PEN Syndicated Fiction Award, and the Capricorn Novel Award. She received an MFA from Columbia University and currently teaches at San Diego Mesa College. She is an Associate Editor at The Northville Review and at Flash Fiction Chronicles. Her collection The Whack-Job Girls (Monkey Puzzle Press) portrays a posse of women who don't fit in or are deeply disconnected from society with dark humor. But for something to resonate, it must have context. Readers want to feel empathy with the main character—or some kind of emotion for the main character—even if it’s distaste. The question is, how does a writer do that with a limited word count? Details not only set up time and place, but also suggest a back story, the circumstances, or even a trait or two of the main characters. Specific details also anchor the story for the reader, giving them something to visualize while reading on to find out what happens next. Context and empathy come about through concrete, specific details that immerse the reader in the writer's world. I’m not suggesting there's any need to describe an entire room or tell the reader the exact time of day, but rather to stroke in a detail much as a painter might do. If you examine a painting closely, you may discover that the person in the background is just a line squiggle with a touch of brown at the top to suggest hair and a swish of red to suggest a skirt or as in Munch’s The Scream: two small boats in lake. 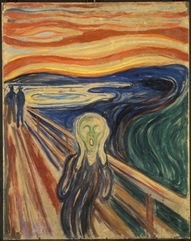 The man screaming in the foreground of the Munch painting is alone while behind him there are two figures on the road and two boats on the lake. I have no idea what the artist had in mind, but for me, this structure and detail suggests a strong fear of facing the world alone or facing death and because these details are behind him, he has no hope. These details do not need to be written into a piece immediately in the rough draft--get the story down first--but can be added in the revision stage of the process once the writer understands what details will best serve the story in a thematic way. So detail, if carefully chosen, can suggest setting, foreshadow events (remember Chekov's gun), as well as deepen character, and underline theme. Water drips from icicles outside the kitchen window. Clear skies glisten through dirty glass panes. I’m pouring my first cup of coffee when I hear snow sliding down the roof and know it’s time to call Carissa. This is the opening to my story, “Spring Melt.” It’s a stroke like a painter’s stroke. The whole house isn’t given, not even a whole kitchen, just the suggestion of a house because it has a kitchen, dirty window panes, and a sloping roof. There is a sense that winter is passing into spring and that brings the narrator to a decision to call some woman. It’s a specific image to carry the reader into the next paragraph, but also to give the story context and later, a thematic pay-off. Details should be as carefully chosen as anything else in a story. Which will enhance the character and hint about what could happen next? Physical appearance often dictates personality. A woman who has always been admired for her beauty may never feel compelled to grow artistically or intellectually, and therefore has little to talk about except hairstyles and Botox. This narrowed point-of-view could, in turn, bring conflict to a piece about marriage or best friends or wherever the writer wants to go. Showing tension between characters through dialogue becomes easier when there is a trait or detail in the story that sparks deep feelings. Here's a brief exchange between Anna and Matt from “She Can’t Say No” to show how this can work. …Alone at the table, Matt asks Anna how she knows his friend, Kerrick, a fast-track kind of guy, gel in his hair and Hugo Boss shoes. “I met him once,” she says and smiles. When she smiles, the scar on her upper lip whitens. Sometimes when he wakes up alone in the morning, thinking of her, the word “harelip” pops into his brain. He’s hinted to her about childhood operations, bringing up tonsillectomies, appendectomies, avoiding the words “quadrilateral mirault flap,” but she says nothing. People in stories don’t always have to agree and when they don’t, they argue, and when they argue, they bring up old grudges, other disagreements, and reveal who they are and what’s important to them. In the example above, the relationship between the two characters is revealed by how Anna parries Matt’s jealousy. It’s not a fight, but it’s still a moment of revelation. Then Matt remembers how it feels to run his tongue along the scar on Anna’s mouth telling us that although he is jealous of her past with men, he’s also aware of her affect on him. The detail of her scar makes this scene more interesting and deepens the emotional risk for both characters. Sometimes a story may work without specific detail, but going deeper can often be as easy as changing a word or two, adding a line, using a bit of dialogue, or throwing in a specific detail that gives the reader context for the unfolding events like Anna’s slipping her naked foot behind Matt’s knee. She has the power and he knows it.